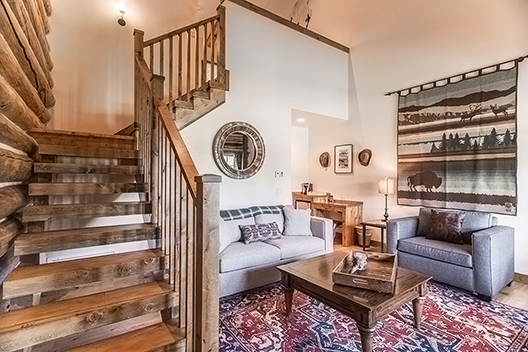 Retreat to your own private residence in the Teton Wilderness in our chic two bedrooms + loft chalet, which features refined Western decor, classic Pendleton bedding, gas-lit fireplaces, several well-designed seating areas, two luxurious bathrooms and handmade furniture and art from local suppliers. Spend an evening on the porch with your family and friends and a front door view to the sunset on the Grand Tetons, or relax in the large, private gathering room. This chalet layout offers room for larger groups of up to eight. 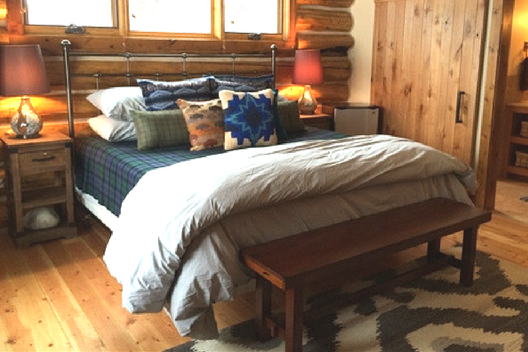 Our two room + loft chalet configuration can sleep up to eight in total. 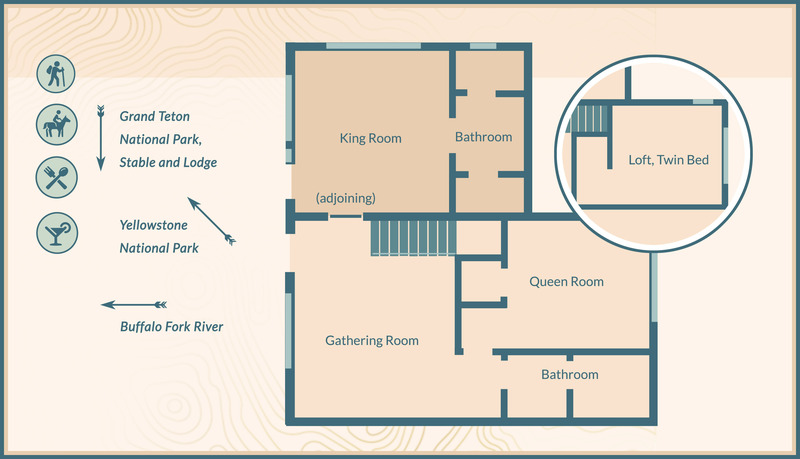 This configuration features one king room, one queen room and a loft with two twin beds. A queen sofa in the gathering room can sleep an additional two people. 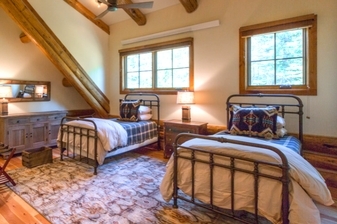 Up to 6 can enjoy our spacious and refined Queen + Loft chalet.